First Listen: Mayer Hawthorne, 'Where Does This Door Go' In the course of three studio albums, Hawthorne has transformed himself from underground indie-soul curiosity to imminent star. Hawthorne has long been a student of the music that precedes him, with skills as a composer, arranger and multi-instrumentalist that take him well beyond mimicry. 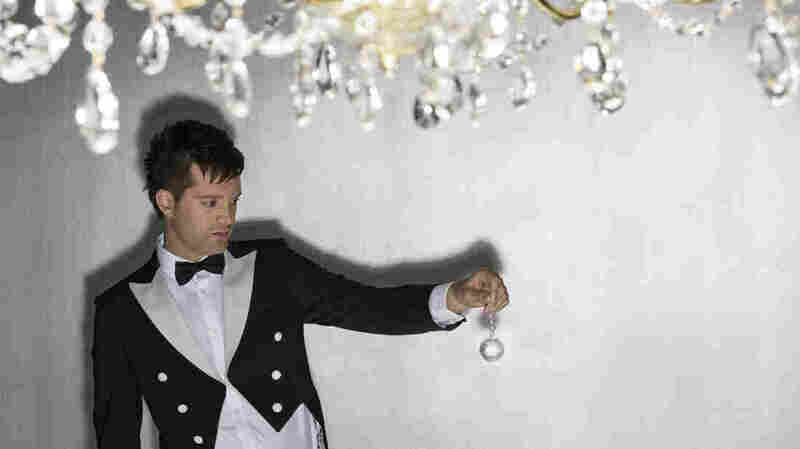 Mayer Hawthorne's new album, Where Does This Door Go, comes out July 16. In the course of three studio albums, Michigan-bred soul singer Mayer Hawthorne has refined his gift for songs that emulate and update his home state's Motown sound. As he's picked up major-label backing — as well as guest assists on the new Where Does This Door Go from the ubiquitous likes of Kendrick Lamar and Pharrell Williams — Hawthorne has transformed himself from underground indie-soul curiosity to imminent star. He's done so, in part, by sticking to a largely innocent persona: Though little bursts of profanity and transgression poke through now and then on Where Does This Door Go (out July 16), Hawthorne most frequently plays the role of reluctant Lothario; he's a romantic bystander, victim or dupe rather than a predator. In "Back Seat Lover," he seems to lament being pulled into a tawdry secret fling — only to conclude, "Well, let's get it on, then." In the slickly catchy "The Innocent," the woman in the scene he sets is cast as a bloodthirsty conqueror; the song itself calls to mind Hall & Oates' "Maneater" in more ways than one. Hawthorne's similarities to Hall & Oates don't end there: Though they lean on (and add to) different regional soul traditions, and Hall's is a more commanding voice, both artists find an appealing and accessible midpoint between classic soul and contemporary pop — and never feel like tourists in either setting. Hawthorne has long been a student of the music that precedes him, with skills as a composer, arranger and multi-instrumentalist that take him well beyond mimicry. (Comparisons to the smooth proficiency of Steely Dan are well-placed.) Along the way, Hawthorne has carved out a contemporary niche for himself as a musician with a gift for fusing past and present sounds in ways that render them indistinguishable from each other.